Although the start of Autumn isn't until the 22nd, September for me marks the first days of cosy nights in, long walks in the rain and preparing for Autumn in general. I have seen similar posts floating around at the beginning of every month, so I thought that I would write down a few of my goals for September too. Start Building An Autumn Wardrobe | I have been looking forward to the start of Autumn for several weeks now, the soft knits and cosy coats are just a couple of the things I am looking to re-vamp this season. I have been lusting after these New Look Pink Suedette Trainers to keep my feet warm during the colder months and this ASOS Cord Cropped Jacket is another layer I need to add to my wardrobe. Go To A Museum | I predict that the weather in September will be all over the place, so I have already started compiling a list of activities to do in all weathers. One of them being re-visit one of the museums I visited as a child, I'm thinking either the Natural History Museum or London Transport Museum. Read Even More | August was definitely the month of reading for me, going through a handful of books every couple of weeks. I am going to try and keep up the ritual of reading before bed and do a few Amazon and Waterston's hauls over the month. I have my eye on The Little Princess, but I'm not sure if that's down to the pretty cover. There's nothing quite like grabbing a few blankets and a hot drink, ready to delve into a new chapter of a book. 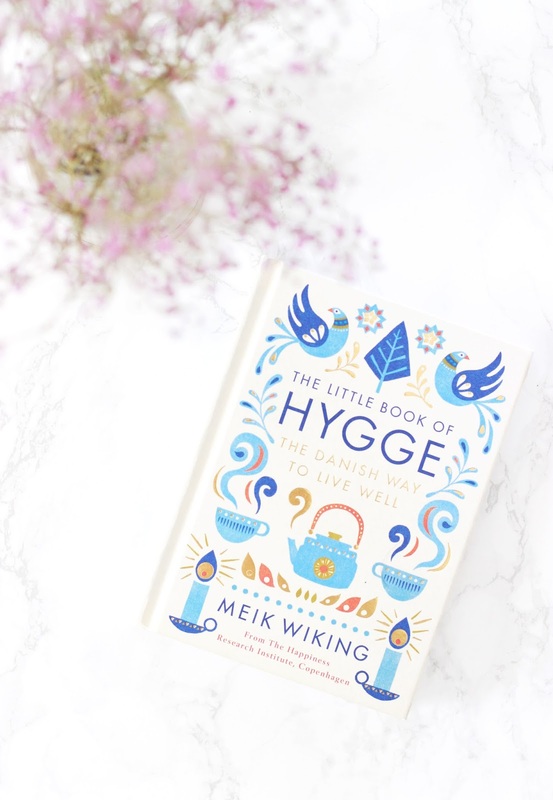 I've been enjoying reading The Little Book Of Hygge; a book that will be released later on this month and is well worth a read. Exercise More | Despite having a good gym routine, I started to let it slip at the end of the Summer due to not wanting miss out on the lovely weather outside. In September, I am planning to get back into the habit of exercising three times a week as well as walking several nights a week too. Walking helps to clear my brain, produce ideas and reduce stress - All three of which I am terrible need of! Do More Baking | Whether it be to take inspiration from GBBO and bake some delicious treats or turn my hand to a dinner more complex - I have been looking for many new recipes to try and taste. In the Autumn I try and pack my meals full of nutritious ingredients, so I have already scoured Pinterest looking for inspiration. Sweet potatoes are in season in October so I am sure that I will start eating them filled to the brim with yummy fillings. Stock Up On Lush | Over the Summer, I hadn't been taking many baths in comparison to the rest of the year, but now that I predict the days will slowly start getting colder I am anticipating several trips to Lush. It won't be long until the Halloween and Christmas collections arrive in store and I'm already eyeing up a handful of bath bombs. What are you planning to do in September?